SIAS will perform at tonight’s POWER Events | Entertainment launch party in Detroit. Detroit-based entrepreneurs are ready to shine a spotlight on the Motor City arts and entertainment scene. Donna Kassab and Kelly Adolph are celebrating the official launch of POWER Events | Entertainment, a new Detroit-based talent and event agency, tonight at CLUBHAUS Detroit, 6540 Antoine St., in the city’s New Center district. Kassab and Adolph started POWER in October to showcase emerging music, modeling, acting and athletic talent in Detroit and introduce that talent to local entertainment professionals and businesses. The two entrepreneurs met at another company in metro Detroit and have spent nearly two decades working in the entertainment industry. That stage will be set for tonight’s free launch party and include a fashion show featuring models wearing designs by Detroit-based clothing store UnitedFront aand music by Detroit artists SIAS and DJ Kobra Kinney as well as New York City-based rock, soul and hip-hop infused band Quantum Split. The launch party also will include catering by Detroit Catering Company and JusNCredible Eats and winetasting by Brut Detroit featuring Hawthorne Vineyards from Traverse City and signature cocktails by Top Shelf Bartini. “Our primary focus is to introduce POWER as something that’s new and fresh in Detroit, and a lot of people who are coming are attached to entertainment,” said Adolph, POWER co-owner. 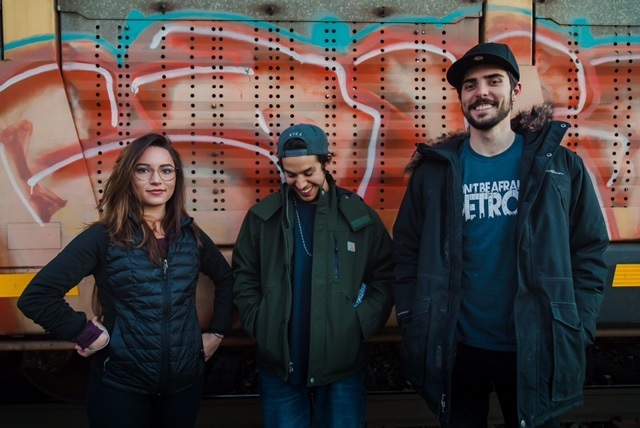 As part of Detroit’s burgeoning music scene, SIAS will perform tracks from their 2016 debut EP “Origin” and share their alternative world music sound fused with earthy, cinematic and celestial themes. The band features childhood friends Josias Yglesias (vocals), Scott Posada (guitar) and Haley Grant (piano) who produce, publish and distribute their own music. SIAS recently opened their own studio in Corktown and plan to start recording more music. Like SIAS, DJ Kobra Kinney originally hails from Detroit. She comes from a musical family, which includes her late grandfather, legendary jazz pianist Harold McKinney, who has a street named after him in Detroit, and her brother, music producer Carlos McKinney. DJ Kobra Kinney, who’s real name is Thema McKinney, started her music career in 2003 performing in girl groups and later worked as a solo artist and backup singer for Kylie Minogue and Melissa Etheridge before becoming a DJ in 2015. Finally, Quantum Split is making their first live appearance in Detroit at the POWER launch party as part of their current national tour. 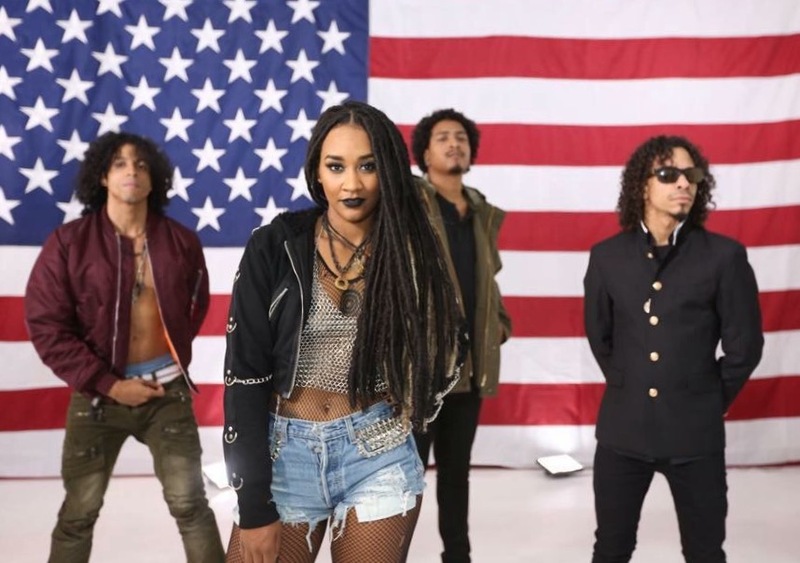 The band features Soleil Laurent (vocals and guitar), Adrian Read (lead guitar), Anthony Anderson (drums) and Ivan Hardy (bass). Quantum Split formed in 2014 after all four members met through social media and quickly forged strong musical partnerships with each other and their fans. The band’s music aims to empower people and encourage them to follow their goals as well as unite with humanity. When: Tonight 7 p.m. to 10 p.m. Admission: Free with RSVP and reserved tickets in advance. Detroit area talent: Learn more about potential talent opportunities through POWER. Detroit area businesses: Learn more about booking talent through POWER.